The North East region has already set a benchmark in sports by producing skilled and potential sportspersons. NEW DELHI: The North East region has already set a benchmark in sports by producing skilled and potential sportspersons. 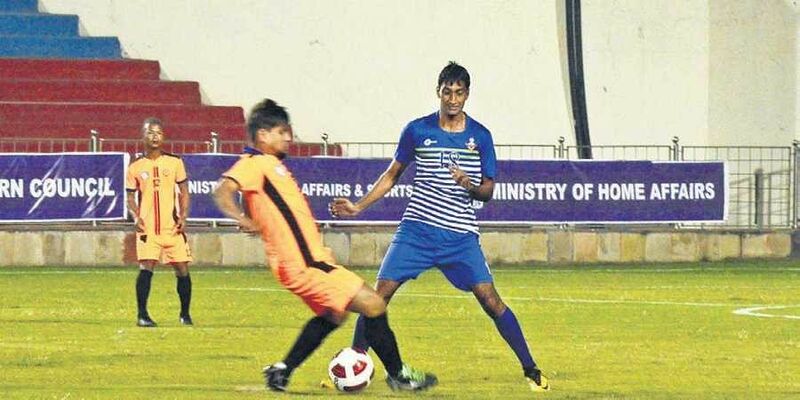 It is no secret that the region is a football powerhouse in India.To nurture and give exposure to youngsters with football skills, the ongoing 12th North East Tamchon Tournament at Delhi’s BR Ambedkar Stadium is a fitting event where they can showcase their skills. The fortnight-long tournament, from October 6 to October 20, is being organised by the Tangkhul Naga Society Delhi (TNSD) with support of the Ministry of Development of North Easter Region and in collaboration with the Ministry of Home Affairs, the Ministry of Youth Affairs and Sports, the ONGC and the Oil India Limited. Delhi BJP president Manoj Tiwari was the chief guest, and Robin Hibu IPS, joint commissioner, Delhi Police, was the special guest, at the sport event on Saturday.Several hundred football fans from the Northeast region living in Delhi turned out at the stadium to encourage the players. TNSD president B K Angam said the tournament serves as hunting ground for football enthusiasts. “Hundreds of footballers have featured in this tournament over the years. Some of them are now playing with elite football clubs in the country,” he said. Music artistes, dance troupes, martial art experts provided additional excitement to spectators. The showpiece was the match between last year’s champions Hornbill United FC and Indian Air Force. Sixteen teams are participating in the tournament to secure a place in the final. The winner will be given a cash prize of `6 lakh, while the second and third placed team get `3 lakh and `2 lakh, respectively. “For a player the tournament is a good platform. It let us to expose the talented youth from the northeast and other states to the elite clubs in the capital,” said NK. Tadoubou, coach of Hornbill United FC. The last year’s champion has players from Haryana, Dehradun and Pune in its ranks. The North East Tamchon Tournament began in 2007. It was held in memory of a Delhi Police officer, late Tamchon Raingam who was an ACP rank officer. Besides boosting inter-community understanding, the sports event works to promote cultural development of the region.